Explore the streets, alleys, and sights of Savannah with a guide on this tour of the historic city. Hear the stories behind colonial-era buildings and the city’s iconic oak-lined squares as you learn about Savannah’s fascinating past. 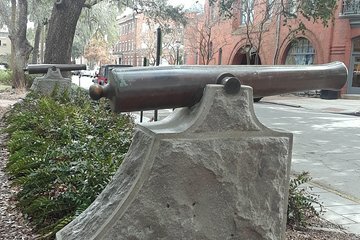 Not too long of a walk, this tour is perfect for first-time visitors looking for a quick overview of Savannah highlights. We booked a Thursday morning tour with Jackie. She has a great way of story telling adding in anecdotes and history to make it all digestible. My 3 kids got a lot of good facts and understanding. What a great way to learn history - right where it all happened.